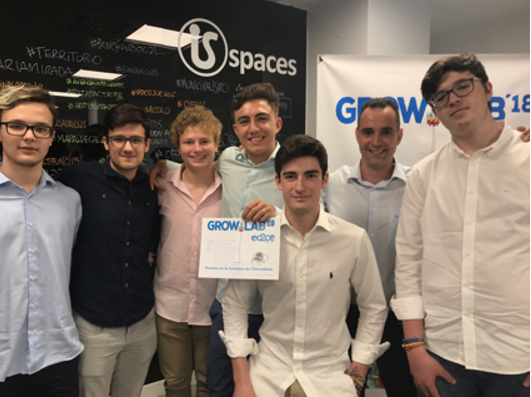 With this slogan, a mixture of English and Spanish, six students from IES Isbilya from Seville (Spain), managed to win the first edition of the Grow-Lab contest of the international Spanish company EC2CE (http://www.ec2ce.com/grow-lab/). The event allowed more than 60 students from 9 different schools in Seville to present innovative and creative projects that encouraged team work, with three different topics: Business, Information Technology and Mathematics. 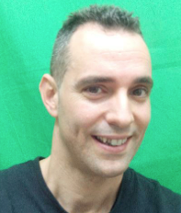 The objective is to connect the business with the educational world. The team of students in the IT category of the IES Isbilya opted for the development of a crop optimization project by combining IoT hardware with decision-making software based on an app built with MIT App Inventor and a Firebase database. The result is an impressive work of monitoring in real time the parameters of an orchard via the Internet that, helped by a mobile application, allows, among other things, to help the farmer when it comes to knowing the temperature, humidity of the soil and air, pressure and rain in their crops. The best? Both the code and the schemes have been published so that anyone can set up their own smart garden and also with a very tight budget. Congratulations!! !